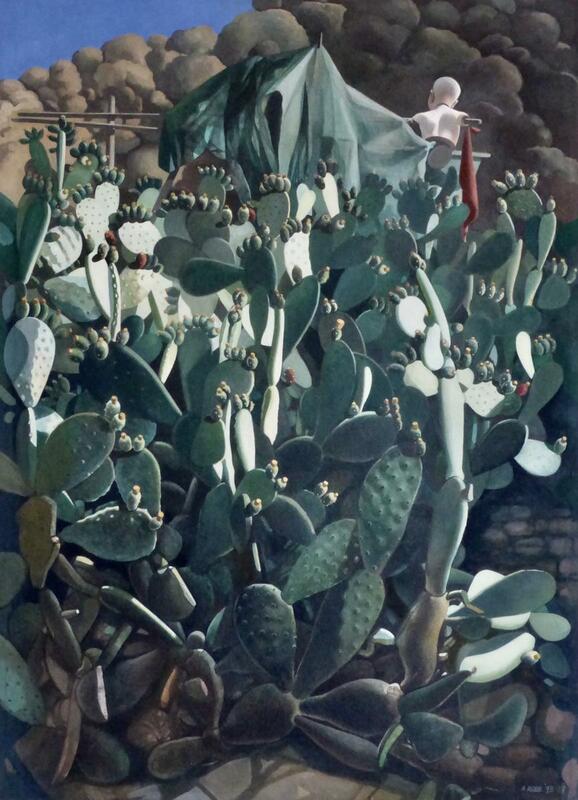 One of two paintings begun on site in a finca near Frigliana, Nerja.I spent the best part of six days on this ancient prickly pear. It was reworked and slightly extended in early January 2017. 72 x 50cms  28 x  20 inches Watercolour/Gouache  on Paper on board.